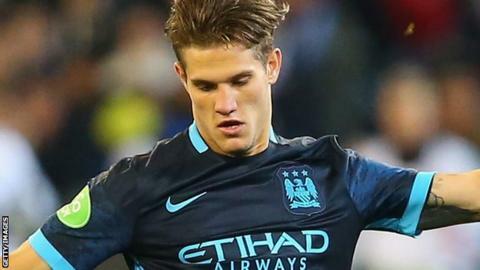 Championship side Middlesbrough have signed Manchester City midfielder Bruno Zuculini on a month's loan. The 22-year-old has made just one substitute appearance for City since joining from Racing Club in August 2014, as a substitute in the Community Shield against Arsenal. The former Argentina Under-20 international spent last season on loan at La Liga sides Valencia and Cordoba. He has been signed by Boro as cover for injured midfielder Adam Forshaw.